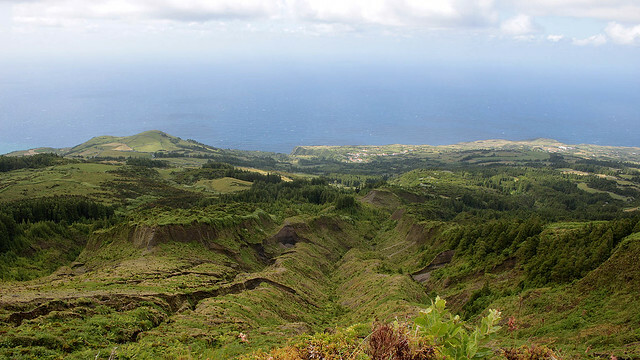 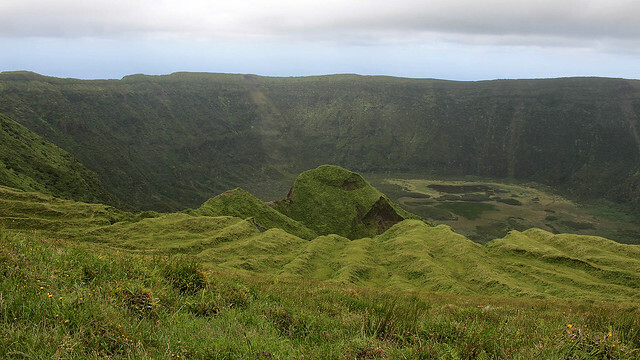 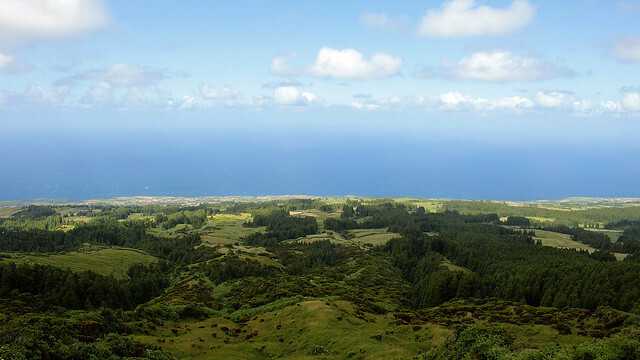 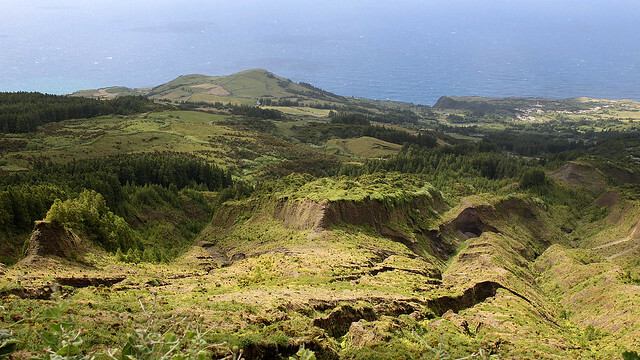 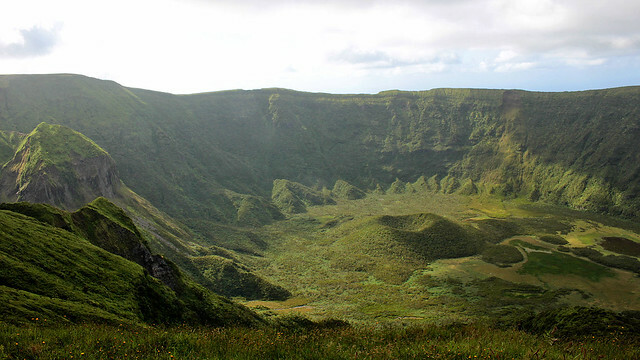 At the heart of Faial lies the Caldeira, seated atop Cabeço Gordo (“fat mountain”), which opened to a spectacular view not only within the crater but the coasts of the island too. 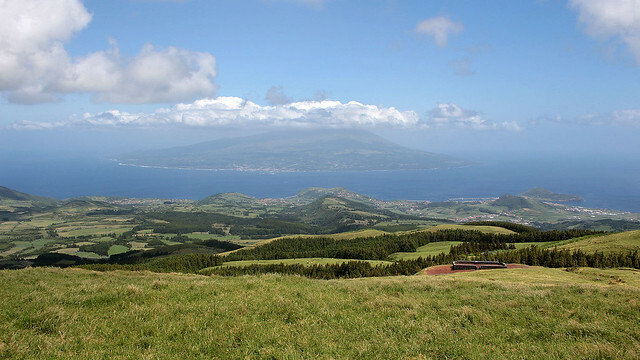 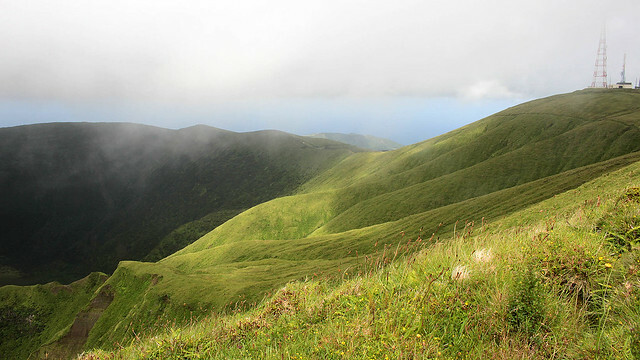 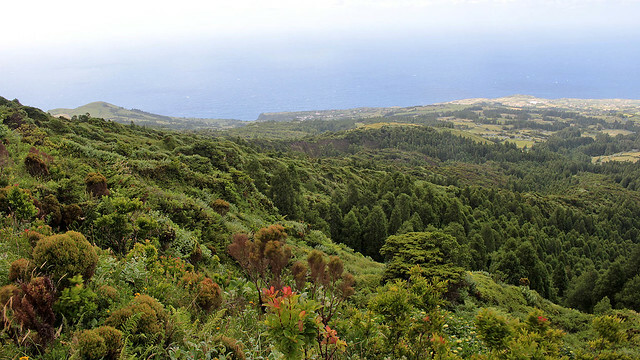 Standing at 1,043m above sea level, this is the highest peak of Faial that on a clear day, opened panoramically towards neighbouring Pico, São Jorge and Graciosa. 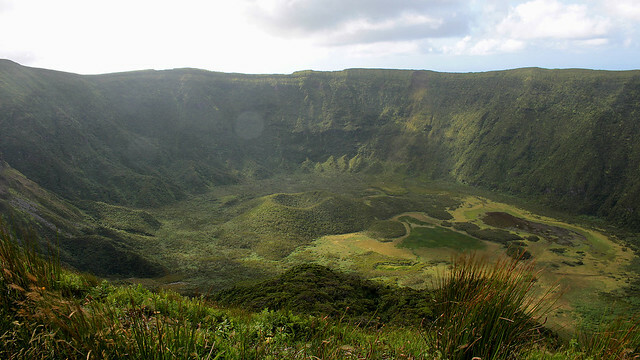 The caldera is 2km wide with a depth of 400m, and a 8km path exists for a short 2-2.5 hours hike for the keen. 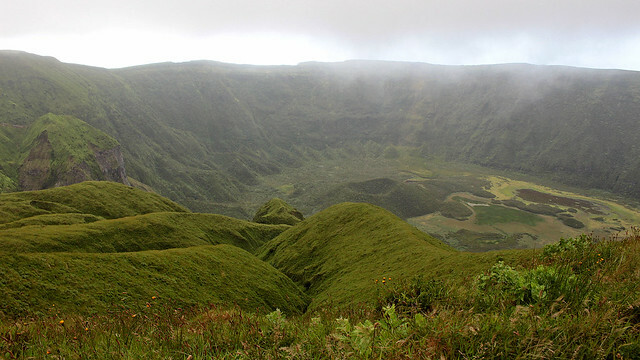 Clouds hovered over us as we made our way around the caldera, at time walking on narrow path with immediate drop on both side of the path (eeek! 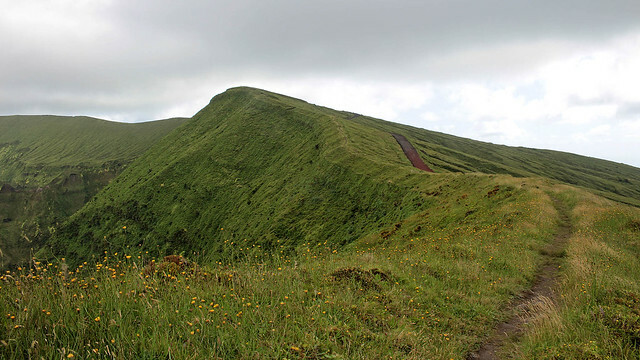 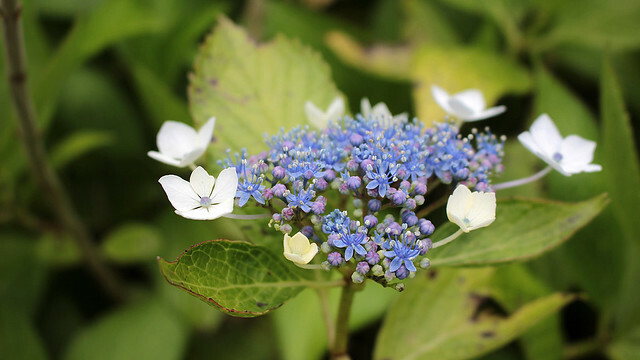 ), at time on wide-enough-for-a-car path, and at time on muddy ground especially after some rain. 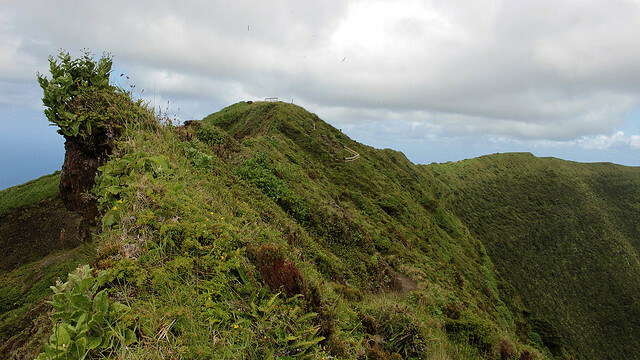 The strong wind was my bigger concern – what if it tried to blow me away? 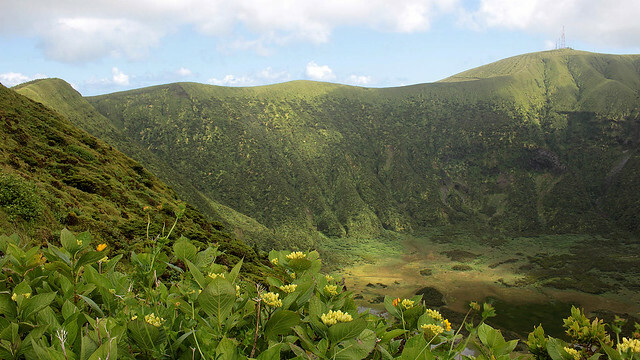 It’s hard not to love the diversity of natural vegetation here, and apparently it is even possible to visit the grounds of the caldera if you are accompanied by an approved guide. 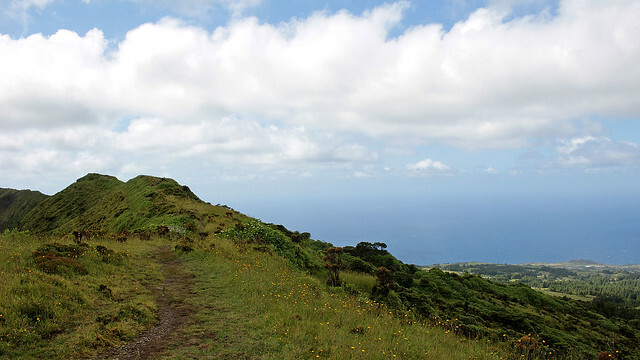 It may not be more difficult than Mount Pico, but some part looked really steep a drop! 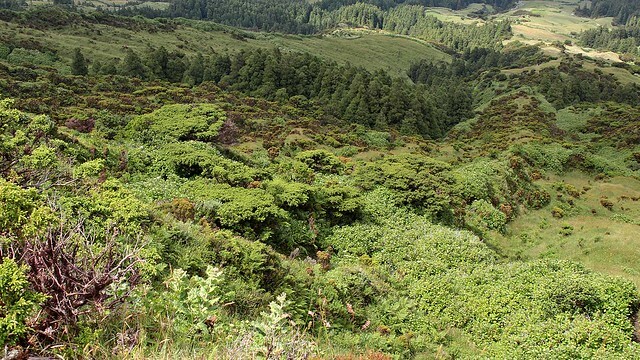 With my imagination running wild, I could imagine myself passing through here on a quest, shield- and sword-bearing and all that shebangs. 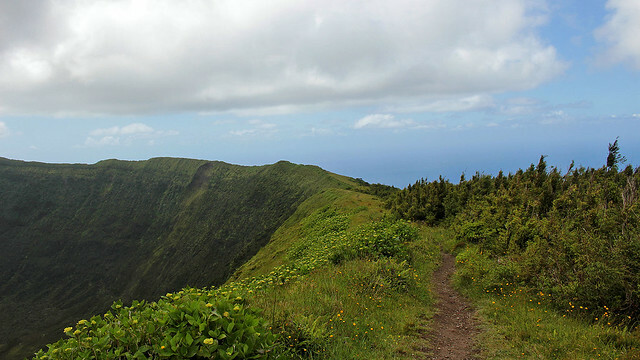 That looks like a lot of serious hiking lil and the last photo…wow…can you trek down to the center of the cone? 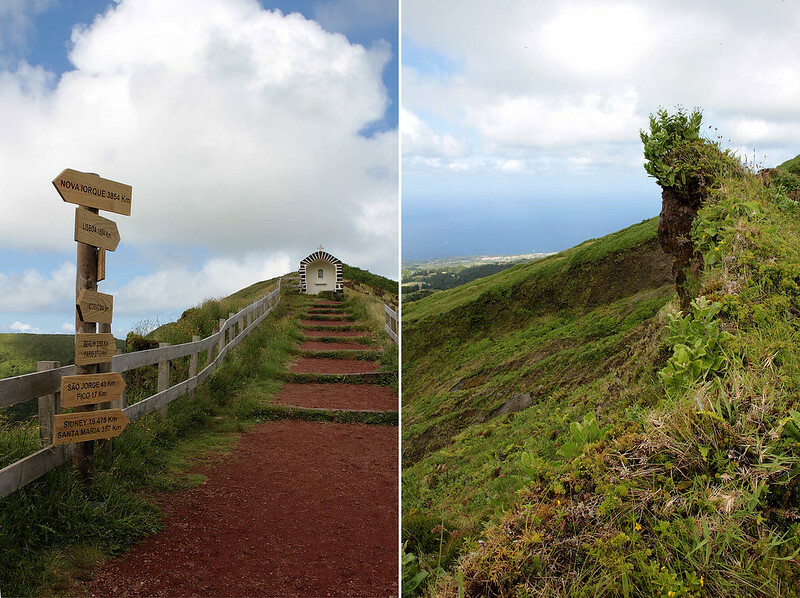 Yes, it is possible to trek down to the cone, but only with approved guide.